Our research team has now completed 12 busy weeks of fieldwork in Kenya, and before we begin to disseminate results, I wanted to share some photographs to provide a context of what daily life is like in the areas in which we have been working. These pictures were taken by Kelly Zhang (Stanford PhD student) who was working in Central Province in Kenya. Central Province is relatively well off compared to other regions in Kenya. Many of the primary schools we visited followed a layout similar to the one shown below, with classrooms opening out to an outdoor courtyard. 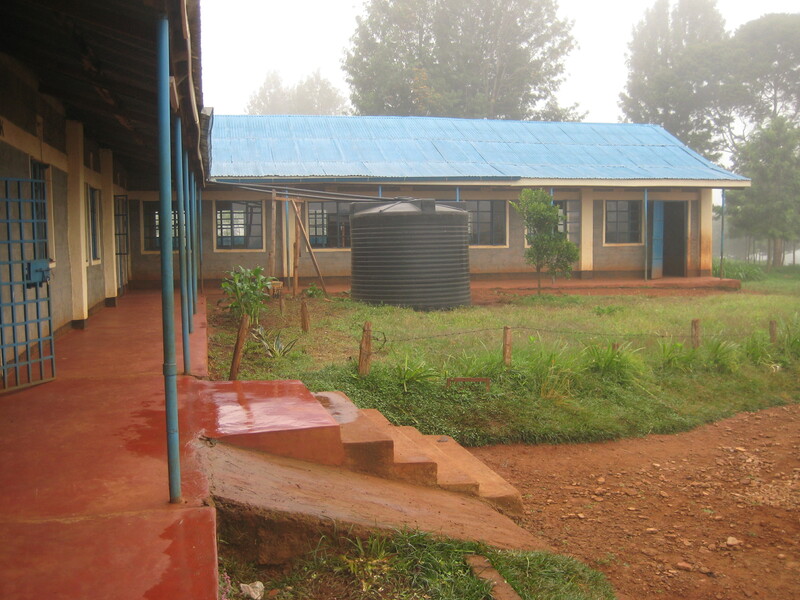 The children at this school were lucky to have a water tank on the school grounds, shown in the middle of the picture above. At schools without water tanks, or at times when the tanks are dry, children must bring water from home. It is rare to find computers in any of the rural schools (indeed, most primary schools we visited lacked electricity), so teachers rely on more traditional methods to organize the vast amounts of information a school must handle. 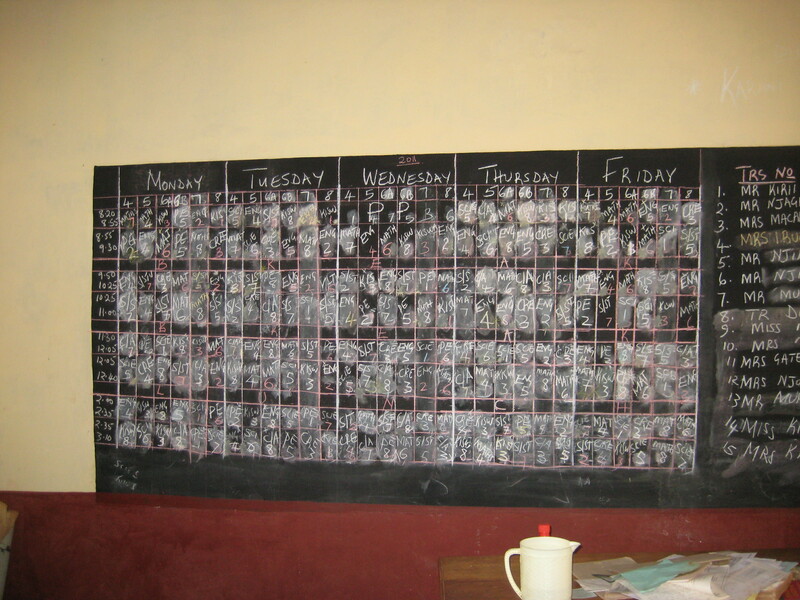 The weekly schedule at one primary school was kept on a giant chalkboard in the staff room, next to a list of the teacher’s names and contact information. Schools regularly post the school calendars, test scores, and budgets on chalkboards like this or hung on poster board. The national government provides funding for primary education, but many schools find the government disbursements are insufficient to cover the costs of building maintenance and learning materials. Some entrepreneurial head teachers, therefore, institute income-generating activities at the school. This school was growing crops to provide some supplemental income to help meet the needs of the students and teachers. 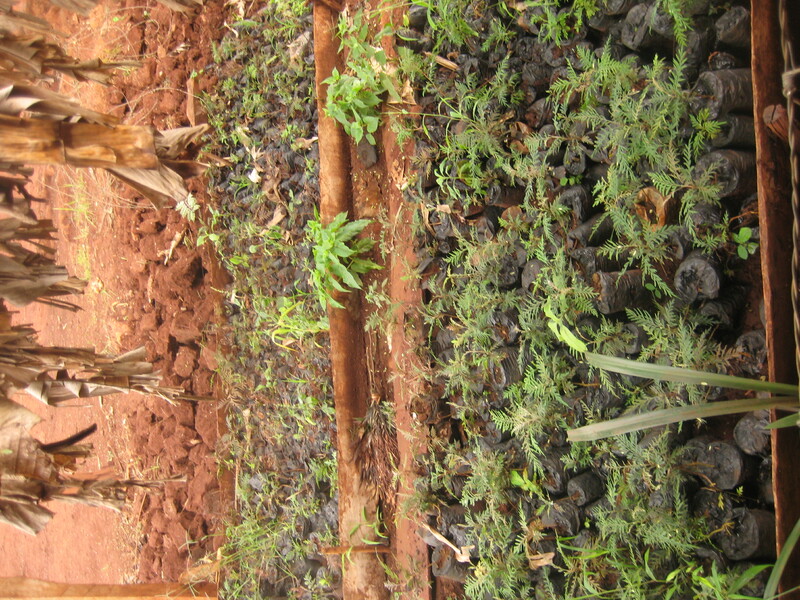 Other schools we visited had planted tea and banana trees, and some even tended livestock. Much of Central Province is quite lush. 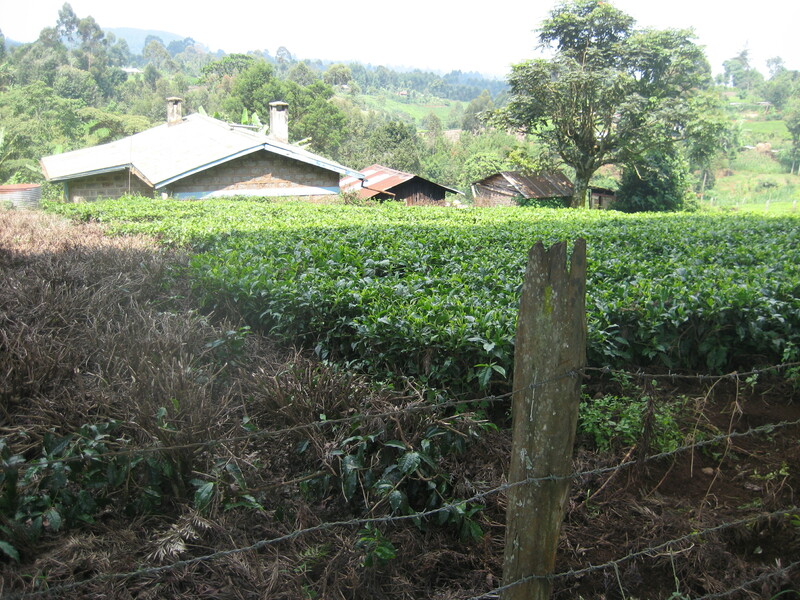 Most people farm, and tea is a major crop in the region. We found tea buying centers across the region, and after harvesting the tea leaves, people bring them to the buying centers where they will be sold, then processed at a nearby tea factory. 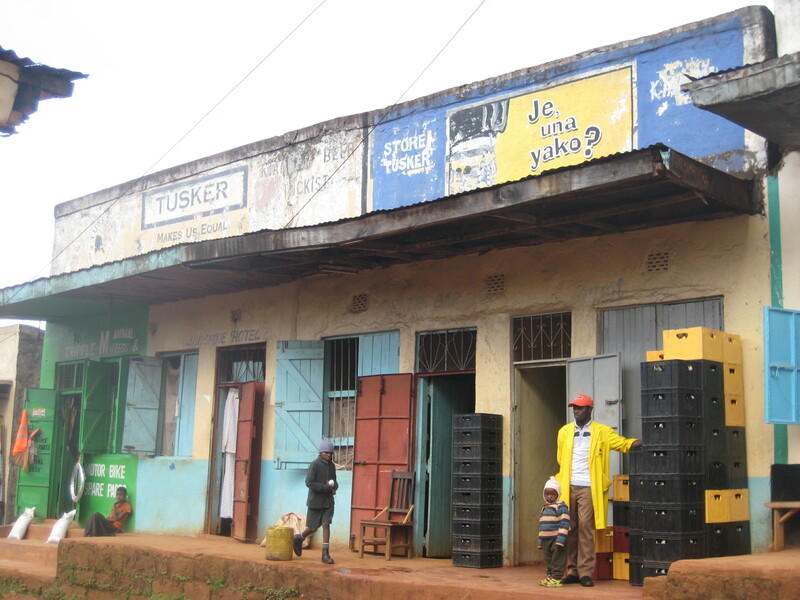 In the town centers we visited, most buildings are simple cement structures. This a typical street in a town center in the areas we were working. 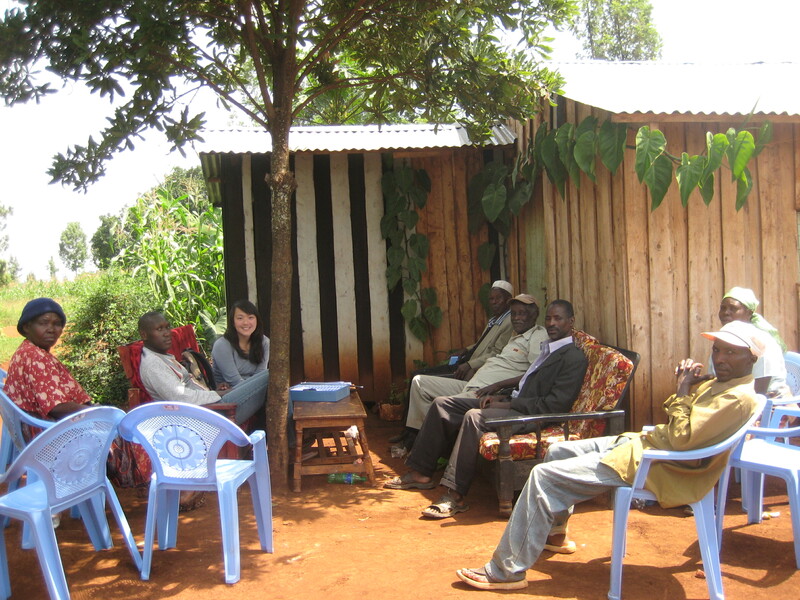 When our research team visited a new village for the first time, they frequently sat down with the village elders and other prominent members of the community to learn more about the community. Our obvious foreign presence often created a stir, and sometimes these discussion groups were attended by many more people than anticipated as local residents were eager to hear what we were doing in their community. In the weeks to come, I will post photographs from the places we worked in Nyanza Province, which is in general much poorer than Central Province.